Happy Friday! It's time for another Fun Friday Challenge at Jo's Scrap Shack where the theme is always Anything Goes. 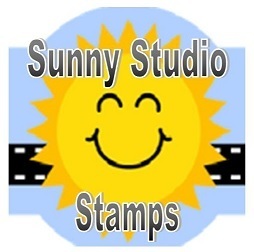 This week's challenge is sponsored by Sunny Studio. 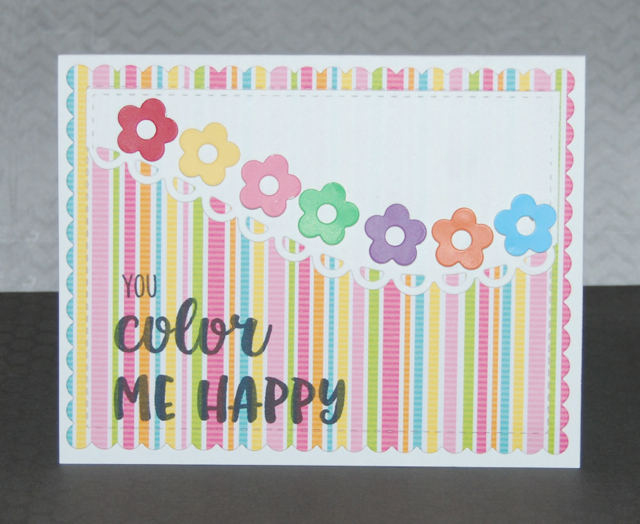 I've use the Color Me Happy Collection and created a rainbow of tiny blooms using paint sample cards. A very pretty card! I love the bright colors and swirl die too! Very Bright And Cheery Colors Love It!! Very pretty! All your colors are perfect with that sentiment! Christine this is such a pretty card!!! I love the sentiment!! !